How to apply TCS Off-Campus Drive? All interested and eligible-candidates can apply this drive by-the-following link on or before -20 August 2018. 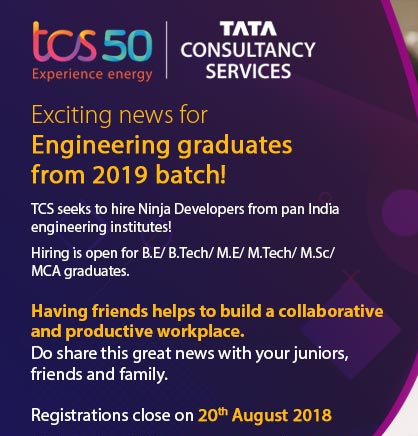 Candidates-who have already participated in TCS Digital Hiring,-need not register- again.-They-will now get a link in-the NextStep portal, to “Apply for Drive”. They -simply-need-to click that.